My Susan B. Anderson Podcast Interviews HERE and HERE. Check Out This ADORABLE Video about the Book! 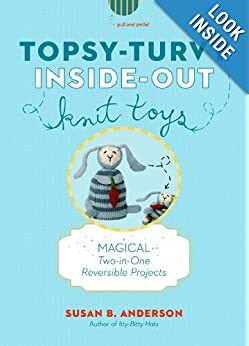 Enter to win a copy of Topsy-Turvy Inside-Out Knit Toys by Susan B. Anderson by leaving a comment under this post by September 15th. Don't forget to leave your contact information! Only one comment per person please. The winner will be announced on Episode 74.